1 Select the tab for the search interface that best fits the scope of your search. 3 Launch the search to get results. 4 Click ... to manage filters, share query, etc. 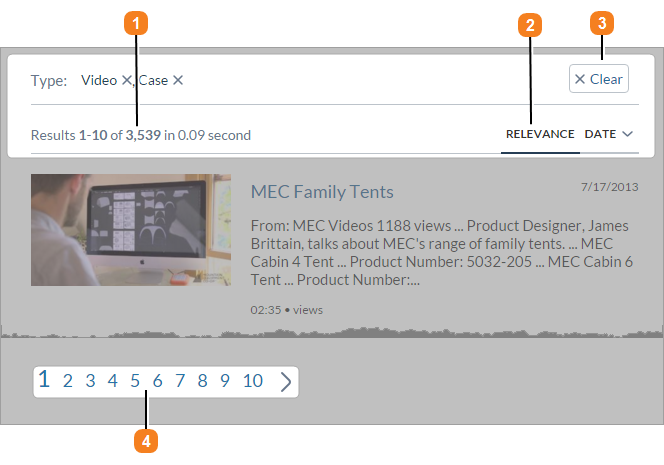 6 Click Share Query to view, copy, and share the complete query sent to the Coveo server. 7 Click Export to Excel to export the first ten search results (including their metadata) to a Microsoft Excel file format. "the sentence I search for"
1 Facet criterion is file Type. 3 Selected check boxes to only show Word Document and PDF File search results. 4 Click More, and then type in the search box to locate and use other file types. 5 Use the Year facet to further refine results. Here, search results created in 2015 are excluded. 6 Click the icon to reset all facet selections. Select one of the available options to order facet values by the number of Occurrences, the Score, or the Label either in Ascending or Descending manner. Hover an item and click to exclude the item. 9 Click Collapse to reduce the facet size by hiding its items. 1 Review the number of results on the current page and in total. 2 Click Clear to reset all facet selections. 4 Navigate to other search result pages. 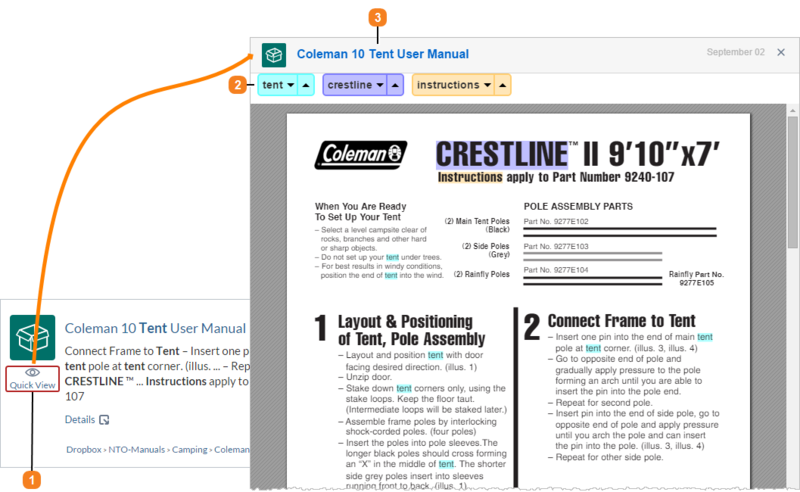 Each search interface includes an optimized search result template. Look at this email search result example. 1 Email icon and subject - Click to open the email in your email application (like Microsoft Outlook). 3 Click Quick View to open an HTML version of the email. 4 Icon and attachment file name - Click to open an attached document with the native application. 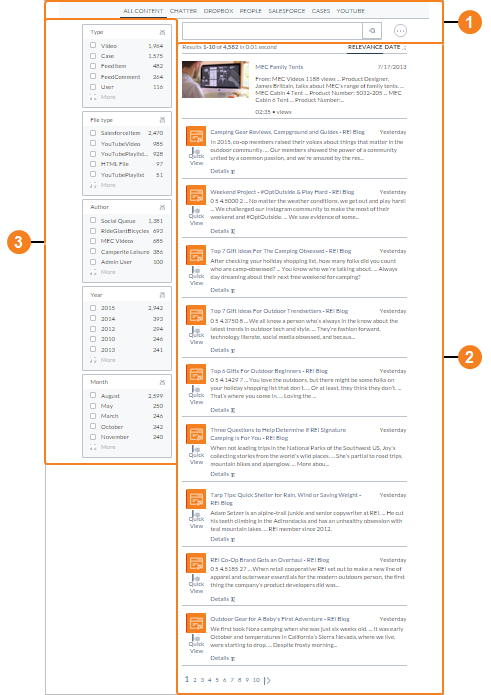 5 Email thread summary - Click to expand the series of folded exchanged emails. 1 Click Quick View for a search result you want to review. 2 Click the up or down arrows next to the desired keyword to navigate in the document through occurrences of the color highlighted keywords. 3 Click the title to open the document in its native application.